We adopt Kmaru-style Romanization which denotes standard pronunciations syllable by syllable using English alphabet. 한국어 is the name of the Korean language. 한국어 is also called 한국말[한궁말/han-gung-mal]. 한글 is the name of Korean alphabet (Korean characters). When you learn the Korean language, you have to say “I learn Hangugeo/Hangungmal”. If you say “I learn Hangeul”, that means you just learn Korean alphabet. 한글/Hangeul is the Korean alphabet created by the Great King Sejong in 1443. 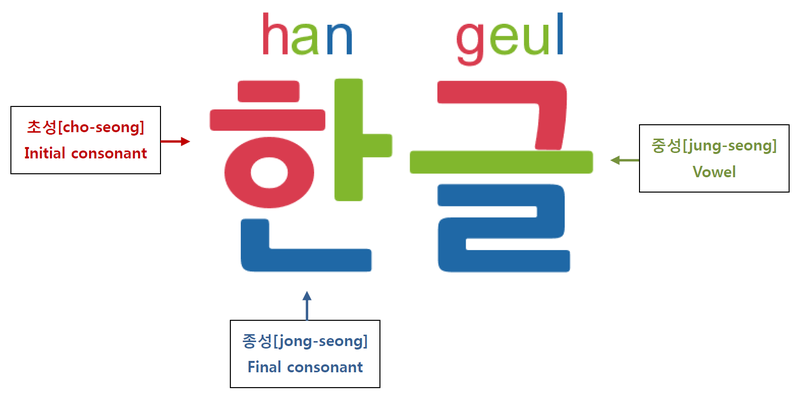 The shapes of Korean consonants are based on speech organs which generate consonant sounds. The shapes of Korean vowels consist of three strokes; a vertical stroke (‘ㅣ’, symbolizes human), a long horizontal stroke (‘ㅡ’, symbolizes earth) and a short horizontal stroke (‘∙’, originally a dot which symbolizes heaven). The Korean language has different word order from the English language. The Korean language has special grammatical units called 조사/Josa (particles) and 어미/Eomi (endings). function of a noun or add special meanings. Endings: Endings should be attached after a verb stem. There are two types of endings – sentence final endings and non-final endings. Sentence final endings decide sentence types (declarative, interrogative, imperative or suggestive) and express politeness toward listeners (casual or politeness). Non-final endings show tense, honorification, or etc. Korean societies have Confucian traditions, and they affect language usages a lot. When a younger or lower person says something about older or higher person, it is recommended to use honorific expressions. There are many Sino-Korean words in Korean as well as native Korean words, because Korean people have used Chinese characters over one thousand years. For example, the Korean language has two sets of numbers – native Korean numbers and Sino-Korean numbers. However, Korean pronunciations for Sino-Koran words are different from Chinese pronunciations. 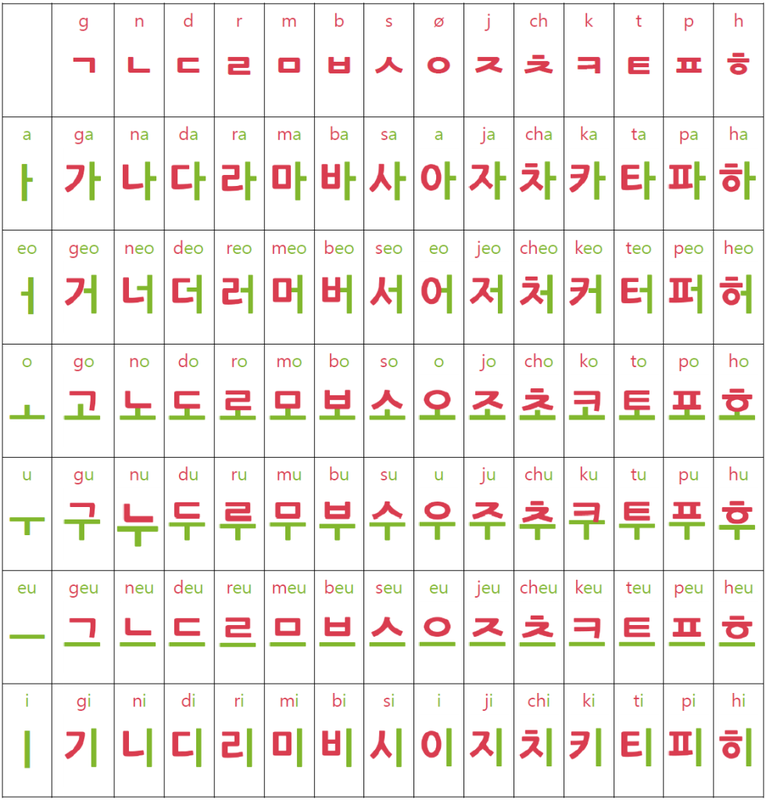 ※ There are 24 basic characters for Korean vowels and consonants in 한글/Hangeul. Consonant character ‘ㅇ’ has two sound values depending on its position in a syllable. At the syllable initial position, it has empty sound (null sound). At the syllable final position, it has English ‘ng’ sound as in “young”. and vowels cannot be used separately.